The beauty that mother nature has to offer will never seize to be mesmerizing. While humanity has strived to create products, build impressive buildings, and fashion our environments in a mesmerizing manner, there is no doubt that our efforts come up short when compared to what nature has. One of the best ways to affirm this assertion is to explore the world that thrives underwater through snorkeling. Marine ecosystems are home to some of the most mesmerizing flora and fauna on the plant. These ecosystems are not only habitats for unusual and beautiful creatures; they are also good frontiers for explorers to venture to. Herein are going to explore some of the best snorkeling spots in the Caribbean. #1. Roatan, Honduras: Roatan is the largest bay in Honduras. 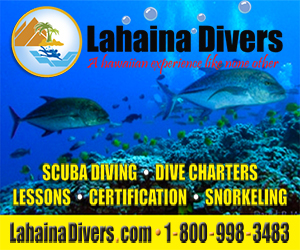 It offers many options in as far as snorkeling is concerned. However, the most notable snorkeling opportunity is the uninhabited island of Pigeon Cay. This island is about a 45-minutes boat ride away from the Roatan. Although one must spend some time on the boat traveling, the price for your efforts and patience is a mostly untouched reef that starts 15 to20 feet off the white sandy beaches of the island. #2. The Cayo Diablo National Park, Puerto Rico: If you fancy diving amongst sea turtles and tropical fish, surrounded by staghorn coral, the Cayo Diablo National Park is the place to go. Located 20 minutes from the shores of Fajardo, there is plenty of exciting features and creatures to enjoy while snorkeling in this part of the U.S.
#3. Tobago Cays, Grenadines: Parts of Tobago Cays, including the uninhabited Tobago Cays Marine Park is a must-visit destination for snorkeling enthusiast. It has ample diversity to keep excited and interested even after multiple dives. For instance, by snorkeling in this part of the world, you will enjoy the sight of multi-colored soft and hard corals, green turtles, nurse sharks, and much more. Additionally, there is a variety of marine flora for you to enjoy. #4. Baths, British Virgin Islands: The Baths is a national park in the island of Virgin Gorda, which is part of the British Virgin Islands. This park offers snorkelers an opportunity like no other. From the white sandy beaches, rocky Devil’s Bay rocky trails where you get to explore the awe-inspiring multi-colored sponges and the cup corals at very shallow depths. #5. The Glover’s Reef Marine Reserve, Belize: The Glover’s Reef reserve is a snorkeler’s paradise. It is made up of a large atoll that has a picturesque 80-square mile lagoon. The lagoon has over 700 patches of coral reef. Additionally, this marine eco-system has sharks, turtles, and rays for sighting. While the snorkeling spots mentioned above are notable for the unique opportunity that they provide, whenever you head to the Caribbean for your holiday, make a point of finding out the best place to snorkel. You might end up finding your favorite spot. If you are new to the hobby of snorkeling, you will probably be on the lookout for some good quality snorkeling equipment. You may well find that the choice is a bit overwhelming, and this is something that most novices discover the very first time they go shopping for snorkeling or scuba diving equipment. Before you rush out and buy the first set of snorkeling equipment that takes your fancy, there are a few things that you need to know in order to make sure that you get the best equipment. In this article, we will guide you through some of the items that you will need in order to get maximum enjoyment out of your scuba diving or snorkeling trip. This is a question that a lot of people ask themselves when they first take up the hobby. Renting equipment does mean that you do not have to find somewhere to store all of your equipment; however, rental fees can add up over time and could cost you more money than buying your own equipment. The first thing you need to remember about snorkeling equipment is that this is the apparatus that you are going to be relying on to keep you alive under water. This means that purchasing pre-owned snorkeling or scuba diving gear may not be the best idea. One item that it is always advisable to own outright, rather than rent, is a wetsuit. This is due to the fact that it is going to be in very close contact with your body’s most intimate areas, so do you really like the idea of wearing a wetsuit that has been worn by someone else? Even allowing for the fact that it may have been professionally cleaned, there is always that chance that it wasn’t cleaned well enough and it is a common occurrence for divers to urinate in their wetsuits. So, say no more! Another item that you should think about owning outright is the mask. This is due to the fact that it is important that you use a mask that fits you well enough so as to not let water in, but one that does not fit so tightly that it is uncomfortable to wear. As you can see, there is much to consider when the time comes to acquire your own scuba diving or snorkeling equipment, least of all whether you should own all of your gear outright or rent. It may make more sense to own a wetsuit, mask, and snorkel, but rent other equipment you might need so that you do not have to transport it all from one location to another.